Magna Cool Magnetic Cooler – It Does Have Magnets! Awesome, Right? We’ve seen all kinds of innovation in the cooler space over the years, and many of them have been a pretty much standard procedure. This one, however, can’t help but turn heads. We’re talking about the magnetic cooler. The idea of a magnetic cooler is so relevant and straightforward that the real surprise isn’t that someone eventually came up with it; it’s that it took so long to come up with in the first place. But that’s the thing about genius ideas: they’re so brilliant you feel like you could have come up with them yourself. 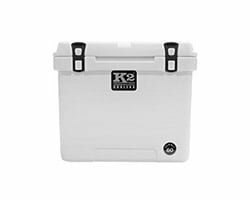 If you’ve owned any number of coolers, you know how worried you can get about them being thrown around in your vehicle as you move through rough terrain. They’re heavy, bulky, and can easily slide around during transportation. The biggest fear here is that you’ll take your truck around a tight corner and next thing you know your dinner is at the bottom of the ice instead of on top of it. We’ve come up with a slew of ways to deal with this problem, ranging from bungee cords to padding, but none were as simple as magnets. And that’s where Magna Cool comes in with their patented magnetic cooler. Their proud claim on their website is that it’s not only the first magnetic cooler in the world, it’s the only one. This is likely to be true for a while since they’ve already got a patent pending on the technology. Expect more from this space, however. It’s certainly going to be a fast-growing niche, and more prominent brands will catch on soon enough. For now, let’s explore the full range of what Magna Cool have to offer in this magnetic cooler review. 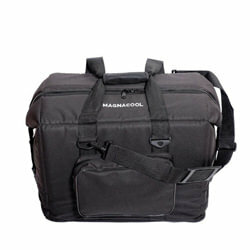 The Magna Cool magnetic cooler is at the top of the range regarding build quality. It’s made of the most robust solid plastic you’ll find anywhere and has full UV protection. It’s also FDA approved! 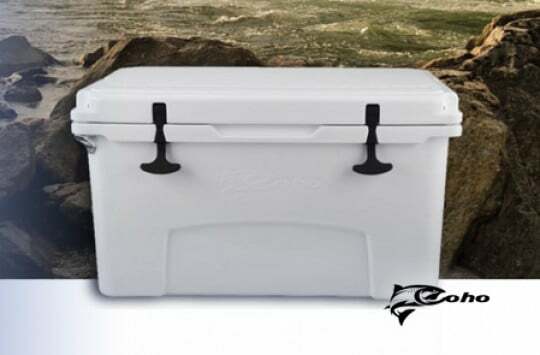 The Cooler itself is about 15 inches by 13 inches by 13 inches, which is pretty standard for an everyday cooler, and comparable to other similar coolers. It also weighs about 9.6 pounds and has a capacity of 24 cans or 14 water bottles (16.9 fl oz / 16 quart). This bag is ideal for one or two people going out to work for a day; no more. However, it is well built for the given capacity. 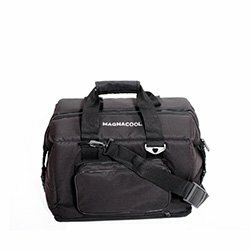 Moving forward the Magna Cool magnetic cooler has quite a few more pros and cons here. Let’s talk them through. For starters, there’s a whole range of colors to choose from. You can go all out and find an identity with their color options. You can go for something warm, such as the Radical Red, the Yellow/Red, or the Tractor Yellow. You can also go for something a little cooler, like the Cool Blue, the Yellow/Green, or the Army Green. Or, you can choose to be neutral and go for Black. As far as the colors are concerned, we can’t help but feel that Magna Cool has enough variety. When it comes to sizes, it’s a different story altogether. They only have one size: the 9-pound magnetic cooler with a capacity of 14 water bottles or 24 cans. That sort of fixes the target market for the Magna Cool magnetic cooler. 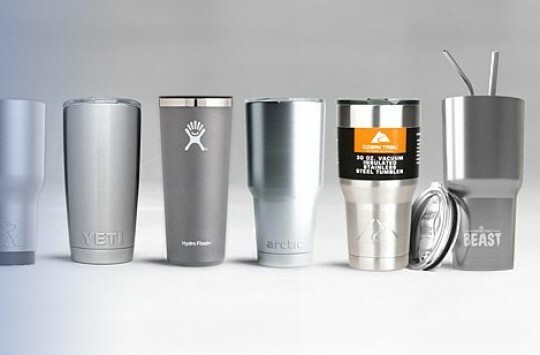 Mostly individuals who typically need it on a hard day of work to keep their drinks and sandwiches cold. Or guys going camping or attending a tailgate party. We hope to see more size options in the future, but we suppose this will have to do for now. 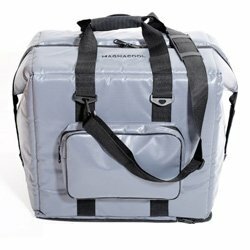 (Editor’s TIP: you may want to compare Magna with our top picks for small cooler, personal lunch cooler or tailgating cooler). As if making it out of sturdy materials wasn’t enough, the good folks at Magna Cool went a step further. They made the entire ice chest field rebuildable. Each part of this cooler can easily be disassembled, replaced, and reassembled. That means the entire ice chest can be pretty much broken down. Did you break the lid? No problem, take it apart and replace it! Did you break the handles? Those can be replaced too! All you need to do the disassembling is a good Phillips screwdriver. You can take it all apart and screw it back together real tight. These are very well designed screws, by the way. They don’t affect the insulation properties of the cooler at all. As for extra items, there’s a removable tray included in every Magna cooler so that you can better organize your space inside. How many times have you opened your ice chest and then forgotten to close it again? You come back and find it’s been lying open the whole time and all the ice has melted. 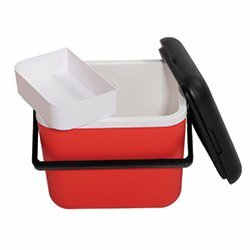 Now you’ll need to add more ice if any of your food and drinks are to stay cold. Even worse, you leave the ice chest open, walk over to the front of the truck, get in, and start driving. Before you know it you’ve spilled all the melted ice all over your truck bed together with your precious lunch! Magna Cool’s answer to this is a locking lid. If you forget to close it, there’s no problem. It will promptly lock itself. That way, not only does the inside stay cold like it’s supposed to, the contents also don’t spill over into the outside. Pretty nifty if you ask us. And now we come to the most excellent feature of them all: The magnets. 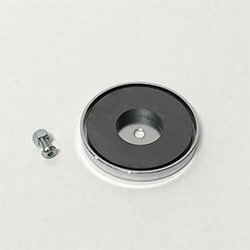 Each Magna Cool magnetic cooler comes with four rare earth magnets built on the bottom. Each of these magnets has a 110-pound pull. Combine the two and you have a box that won’t budge no matter what the circumstances. These magnets are pretty powerful! We’ve watched the videos on Magna Cool’s website, we’ve read the customer reviews on Amazon, on various online forums, and we’ve tested them out ourselves. It doesn’t matter where you place them; they’ll hold on tight. In a pickup truck, in a tractor, in a dune buggy, in an SUV; on the streets, on the dunes, in the farm; no matter what you drive or where you drive, the Magna Cool should hold on tight. Magna Cool didn’t just make something that can stick to metal surfaces only. As you know, people on many different types of cars and trucks as well as kayaks will be hard put to find a metal surface on which to place the Magna Cool magnetic cooler. So they gave us an option. You can now buy separately a set of 4 suction cups that will allow your Magna Cool cooler to stick to just about any surface. The suction cups can be screwed on and off by the four screws that hold the magnetic cooler together at the bottom; the same ones you can open with a Phillips screwdriver. 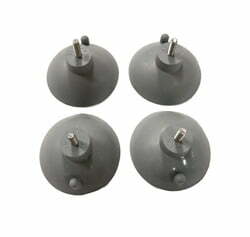 They also said to perform pretty well no matter the vehicle type or terrain but to be honest we haven’t yet tested these ourselves so we won’t comment on how effective these suction cups are. We’ll update this magna cool review later on with new findings. Magna Cool haven’t made any official statements about how long your drinks will stay cold in their cooler, but we went out and did a test, so we know a bit. We kept it out in the backyard, and the ice was still there at the end of the first day. Melting started around noon of the second day. So it seems to be a regular cooler in that respect. It will keep your drinks cold for a day and a half max. 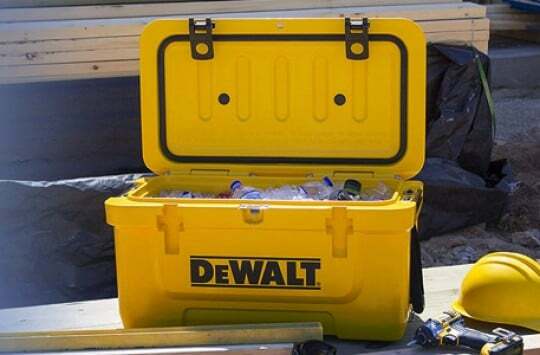 This is expected, though, considering the size of the cooler. One shouldn’t expect more from an everyday lunch cooler. Magna Cool didn’t just stop at a hard magnetic cooler. They went ahead and made three different sizes of soft coolers as well: The 24 can soft cooler, the 36 can soft cooler, and the 48 can soft cooler. The 24 can soft cooler has roughly the same capacity as Magna Cool’s hard cooler. It also features the removable magnetic tray that will make it stick to any metallic surface. No suction cups here, though, so that doesn’t leave people with the non-metal surfaces in a good place. 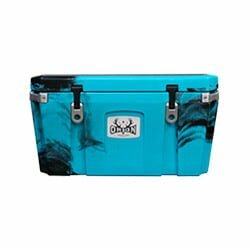 The soft cooler is leak proof and features a strong Yak zipper. 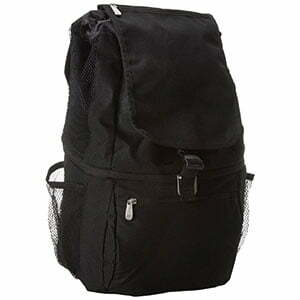 It also has two utility side pockets to carry extra stuff if you need to. This one has a capacity of 36 cans and falls intermediate between the 24 can soft cooler and the 48 can soft cooler. It also features a removable magnetic tray and pretty much the same build as the other two. The 48 can soft cooler is the largest of them and, as expected, can be pretty heavy when filled with drinks. It also features the same construction and design. All of the bags feature robust waterproof designs with reliable zippers. 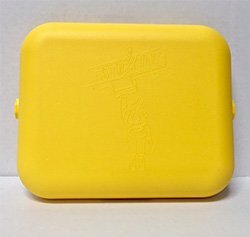 They also have a 1-inch thick layer of high-density polyurethane foam in the walls to keep them insulated. The Magna Cool claims this is the strongest foam in its class, but we beg to differ. 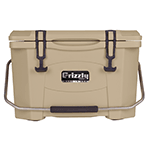 We’ve seen 2 inch thick walls in the Simple Modern Weekender and Yeti Hopper soft coolers, for example. Now those are top of the class. As far as soft coolers go, the Magna Cool line of coolers is pretty much run of the mill. TIP: You might also want to check our top soft cooler picks we published a while back. They offer two color options for each size: gray and black, with the promise to have more colors coming soon. We hope that promise gets fulfilled because that could be a strong selling point for them. The fact that they already offer three different size options is good, and the diversity of the color options should catch up. Do we need a Magnet in a Soft Cooler? Magna Cool’s big selling proposition is the removable magnetic tray at the bottom of the soft cooler. The question is: does a soft cooler need a magnet? In a hard cooler, it makes sense to have a magnet because a hard cooler will likely shake things up quite a bit in there when it gets thrown about. Plus it’s heavier. Keeping it upright and in one place makes sense. A soft cooler, on the other hand, is explicitly designed to have enough padding on the outside that it doesn’t matter where or how it’s placed. The drinks and food inside will be safe. That said, we don’t think a magnet is a strong selling point for a soft cooler. Maybe Magna Cool figured it might make sense, considering their already widely successful magnetic tool bag. You don’t have to worry about your tools getting thrown about and mixed up because the tool bag remains upright. But bear in mind that that is a tool bag. This is a soft cooler. They’re about as different as day and night. 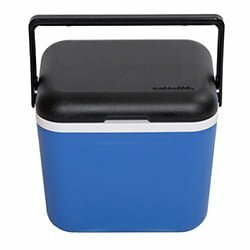 You can buy Magna Cool coolers in lots of different places online, including Amazon, Sears, E-Bay, and Magna Cool’s website. We, however, recommend you first check it on Amazon as there are plenty of reviews from previous buyers that will guide you on your purchase. You also have great buyer protection and returning an item is a no-brainer. As for shipping, you could luck out and get free shipping on Amazon on many items and possibly this one too – especially if you’re a Prime member. If you’ve been looking for a reliable everyday cooler to store your lunch and drinks then we think Magna Cool cooler is an excellent choice. Also, it’s about time someone thought of a magnetic cooler, particularly a hard cooler. It’s fresh, it’s well designed, and it’s iconic. We don’t think their soft coolers need a magnet, but hey, don’t let that stop you from getting one if you like the idea! Overall, this one’s a win according to us.